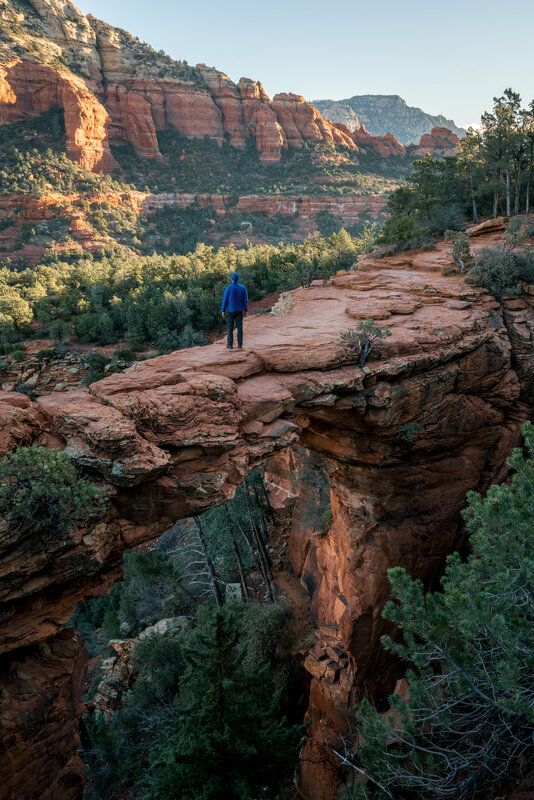 Sedona is a great place to visit if you’re on your way to destinations with much bigger attractions - like the Grand Canyon, Havasupai, or the slot canyons near Page, AZ. Below are three great hikes, all relatively short, that you can knock out in a day or two. They're definitely worth the stop. Birthing Cave: The path to the Birthing Cave is about 3 miles roundtrip, at the most. You can use your GPS to get you to the Long Canyon Trail which will lead you to the Birthing Cave. You’ll see the small dirt parking area for the trail on your left just a few minutes after you turn onto Long Canyon Road. Follow the signs from the parking area to start your hike on the Long Canyon Trail. About 15 minutes in, you’ll see a small section of wooden and wire fence on your left. The path to the Birthing Cave will be to the left of the fence, over the tree branch and running perpendicular to the trail you just hiked. Hike another 5 minutes on this path and you’ll see the trail that leads you to the birthing cave on your right. A few minutes up and you’ll be inside the cave. 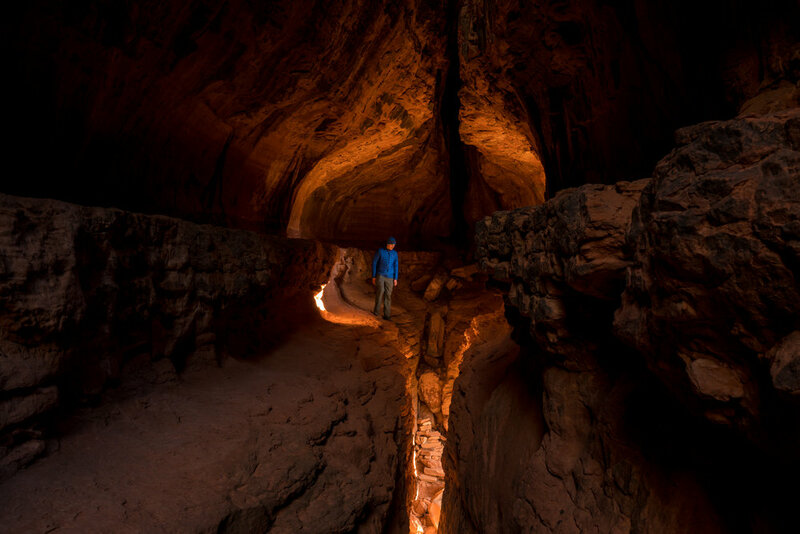 Secret Cave: To get to the Secret Cave, you’ll want to get to Soldier’s Pass Trailhead. Your GPS will bring straight to the dirt parking area where the trail begins. As this is a popular trail, you’ll want to arrive early - there is no additional parking in the surrounding community and the parking area is small. The trail to the cave is about 5 miles roundtrip. You’ll pass the sinkhole and the seven sacred pools along the trail. Once you pass the sacred pools, you’ll eventually pass another sign for the Soldier’s Pass Trail. Continue past this sign for another 5 minutes and keep your eye out for a trail to your right that appears to go up the hill. Head over the tree branch, up the path, over the large rocky area, and in another 15 minutes you’ll reach the Secret Cave. If you only see an arch at first when you get to the top of the trail, continue to the right of the arch and you’ll see the section of the cave where you can go inside. 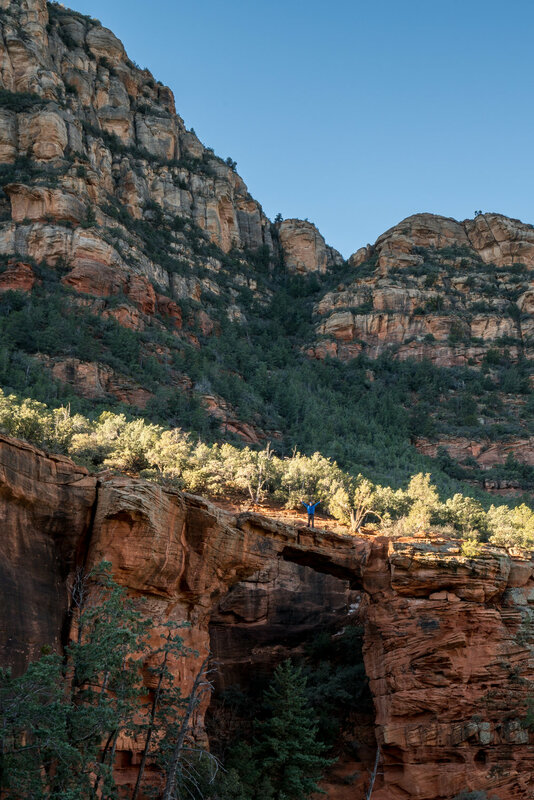 Devil’s Bridge: Your GPS will bring you straight to the parking lot/trailhead for this super popular hike. Once you’ve parked in the paved lot, you’ll be walking along the rough 4x4 road (do not attempt to drive on this road unless you have a high clearance 4x4 vehicle with the right tires and experience to drive it) for a while until it breaks off to the right and up to the natural bridge. This hike is 3.6 miles roundtrip and is relatively flat until you get to the last section just before the bridge. Due to the popularity of this trail, I’d recommend hiking this one in the early hours of the morning so you can watch the sunrise on the red rock formations in the distance when you get there.